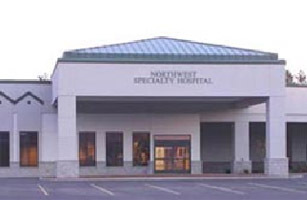 The Northwest Specialty Hospital is an $18 million dollar new hospital facility built in Post Falls, Idaho. This one-story, 8,500 square foot building has a below ground garage. ALLWEST provided monitoring of mass excavation, soils compaction testing below footings, slab on grade, and foundation wall backfill. We also provided asphalt density testing, structural steel and welding inspections, reinforced concrete inspections, roof decking, fireproofing, epoxy bolts, and non-destructive testing inspections.